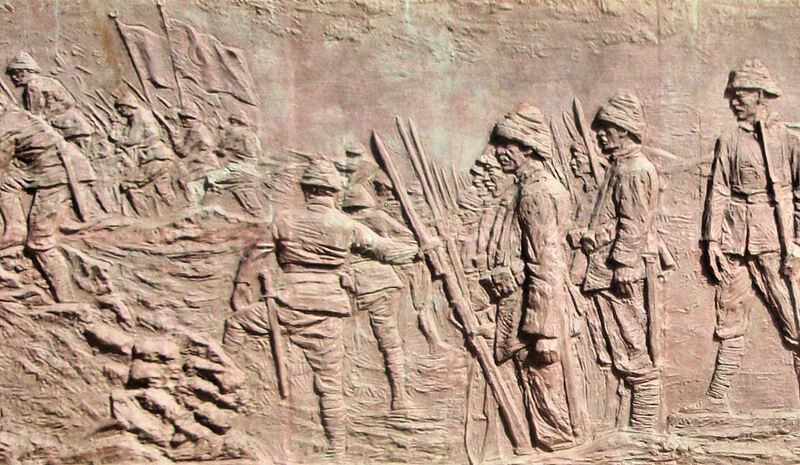 Just down below you will see a photograph of your esteemed editor on the Asian side of the entrance to the Dardanelles standing–-so I was fantasizing at the time–in the footsteps of such legendary notables as Achilles and Alexander the Great. 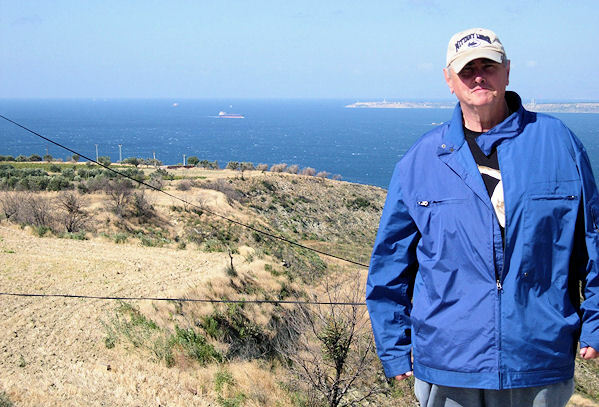 This was the occasion of the first of my two visits to the Gallipoli battlefield in 2009 and 2010. A decade ago, I was still searching for a solution to that imponderable WWI mystery: just what went wrong with the most imaginative plan ever devised for breaking the trench-deadlock on the Western Front? Did the admirals lose their nerve? Shouldn't the Allies have started the land and naval assaults together? Was that Mustafa Kemal guy the luckiest guy on earth, or what? It was a war few Americans knew about then or now. Orchestrated behind closed doors, inspired by panic, and plagued by futility, America's military intervention in Siberia during the First World War continued long after the Armistice sent the Doughboys in France home. 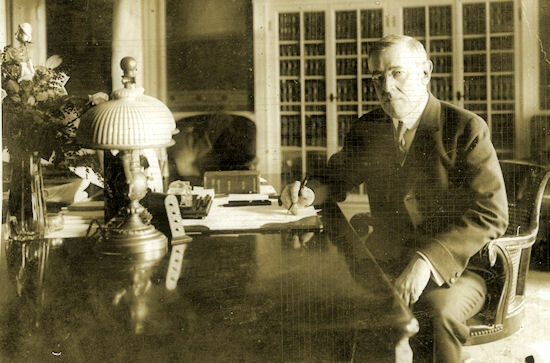 President Woodrow Wilson considered the order to send American troops to Siberia, a region besieged by civil war, lawlessness, and murder, one of the most difficult decisions of his presidency. President Woodrow Wilson's motivation for sending troops to Siberia stemmed from the same desires that drove him to try to impose the Paris Peace Treaty on Europe–the promotion of democracy and self-determination. But first and foremost, he wanted to protect the billion-dollar investment of American guns and equipment along the Trans-Siberian Railway. Vast quantities of supplies had been sent when America believed that Russia was capable of fighting and winning against the Central Powers in the spring of 1917. In addition to the supplies and the presence of Americans attempting to fix and develop Russia's railway service, Wilson also considered the Czech Legion. The Legion had been formed early in 1918 from Czech and Slovak prisoners of war in Russia, sympathetic Russian Slavs, and deserters from the Austro-Hungarian Army. Beginning in March 1918, 40,000 soldiers fought with the Legion for the Allied cause. When the Bolsheviks pulled out of the war, they agreed to let the Czech Legion leave Russia. President Wilson wanted the world to know that the United States supported the safe return of the Czech Legion to its newly formed homeland. In March 1918, the Legion moved steadily eastward along the Trans-Siberian Railway. When the Bolsheviks tried to disarm the Czechoslovaks, the soldiers of the Legion hid their weapons, and relations between the two groups frayed. 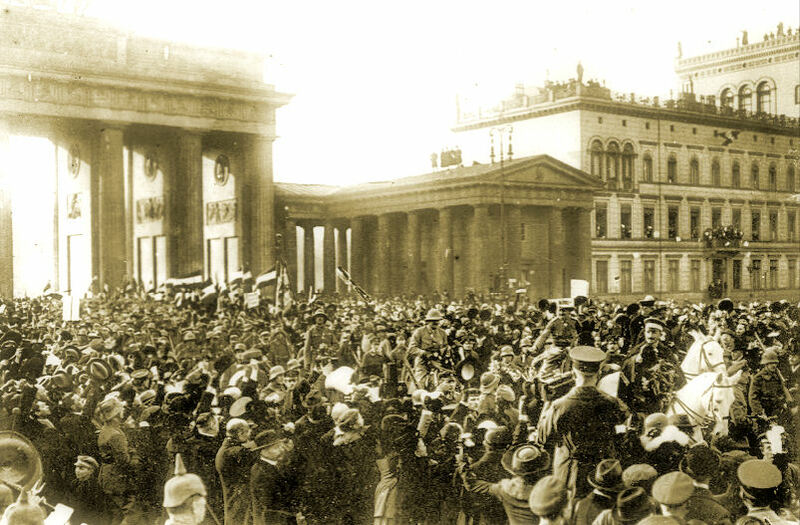 In May 1918 the Red Guard arrested several Czechoslovaks after a confrontation between legionaries and German prisoners of war at Chelyabinsk Station. A Czech had been killed, and his comrades retaliated by lynching a prisoner. The legionaries forcibly released the prisoners and took over the town. In a valiant effort to fight their way back to their homeland, the Czech Legion smashed its way both east and west, toppling just about every Soviet government in the far eastern part of Russia and Siberia. This dramatic turn of events brought the fate of the Czech Legion to the attention of Wilson and ultimately led to the American intervention in Siberia. In June 1918, Wilson received a number of diplomatic visits directly related to the Allied demand for intervention in Russia. Both the French and British military missions to Russia sent representatives to persuade him to send American troops to Siberia. The War Department had been studying the issue for some time, but they were hardly as sanguine as the French and British wished. 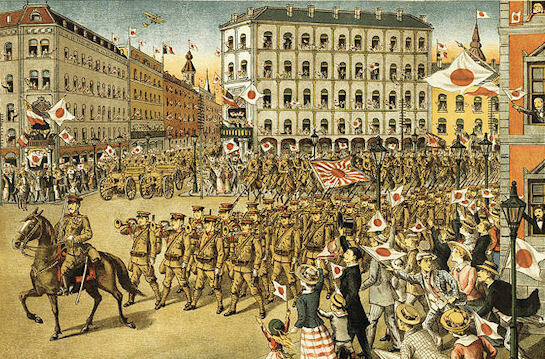 The Europeans sought at least 30,000 American troops in Siberia to go in alongside some 60,000 Japanese. 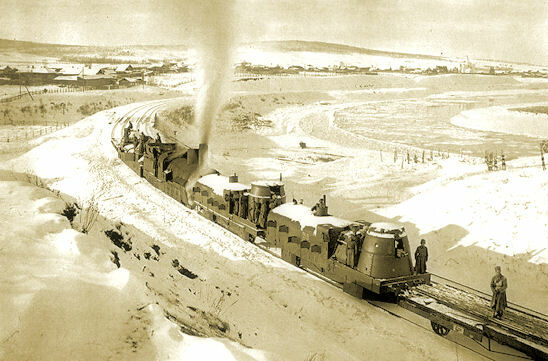 The Allies stressed the need to deprive the Germans of access to the billions of dollars' worth of assets that lay strewn about the Siberian landscape. The bulk of the effort was to persuade the Czechs to remain in Siberia as a serious counterweight to the Germans. The Allies hoped that by keeping pressure on the Red Army, they could prevent an alliance between the Bolsheviks and the Central Powers, which they feared might allow Germany and Austria to shift valuable men and material to the Western Front. Finally, on 6 July 1918, Wilson decided to intervene in Siberia. The mandate for 8,000 American troops and 70,000 Japanese troops used the rationale of protecting the supplies and communications (the Trans-Siberian Railway) and aiding the Czech Legion in its quest to return home. To lead U.S. forces in Siberia, the War Department turned to Major General William S. Graves, an intelligent and experienced officer training Eighth Division recruits at Camp Fremont, California for duty in France. On 2 August 1918, Graves received a mysterious message from the War Department ordering him to take the first train directly to Kansas City. At the train station, Secretary of State Newton D. Baker handed Graves an unsigned copy of the Aide Memoire: "This is the policy of the United States in Russia which you are to follow. Watch your step; you will be walking on eggs loaded with dynamite." Graves was now Commander of the AEF, Siberia. The Japanese had landed the first contingents of more than 70,000 soldiers in June and July and consolidated their control of the Chinese Eastern Railway and much of northern Manchuria near Semenoff's headquarters in Chita. Japanese designs on Manchuria and Siberian economic resources required that no stable government be permitted to develop. To keep the region unsettled, the Japanese could gain leverage in the area by fomenting trouble via Cossack bandits. From the outset, the Japanese cultivated Semenoff and likeminded Cossacks, and lavish gifts and money found their way to Chita and to strongholds of other atamans in eastern Siberia. Although General Graves did not arrive in Siberia until 4 September 1918, some American troops had arrived as early as 15 August 1918, and quickly took up guard duty along segments of the railway between Vladivostok and Nikolsk in the north.